PJ Masks Live! is coming to the Palace Theatre in Albany on Thursday April 25th at 6pm and here at Mini City we have a pair of tickets to give away to one lucky reader! 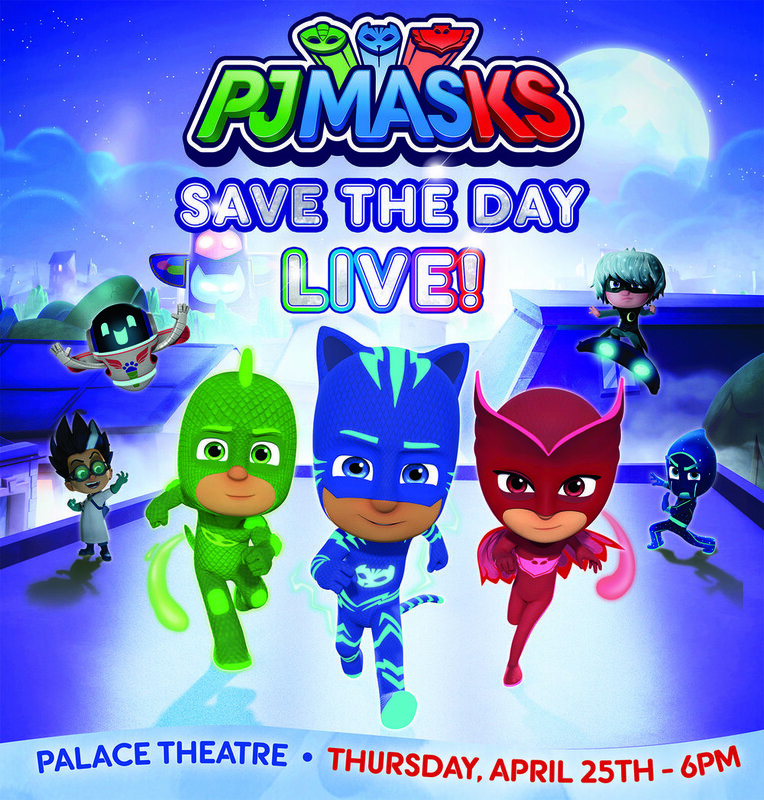 PJ MASKS LIVE is back with an all new super-heroic, live musical show, featuring the heroic trio from your favorite series: The PJ MASKS! Watch Catboy, Owlette and Gekko along with their new friend PJ Robot, as they try to save the day from the sneaky villains - Romeo, Night Ninja and Luna Girl! Fluttering Feathers! Leaping Lizards! What a CAT-tastrophe! Leaping, flipping and climbing - live on stage! Complete with your favorite music and brand new songs you’ve never heard before! Don’t sleep through it – watch the PJ Masks save the day, live on stage! Simply comment below (on THIS POST ONLY) saying which PJ Masks character is your child’s favorite, and one winner will be notified via email (PLEASE be sure to include your email in the comments section, it won’t be seen in the general comments but we can see them here at Mini City HQ, if we don’t have your email we can’t contact you!). The contest ends on Friday, April 12th at 5pm and the winner will be notified then with instructions on how to collect their tickets. So good luck, Mini City readers! The Palace Theatre is located at 19 Clinton Ave, Albany.